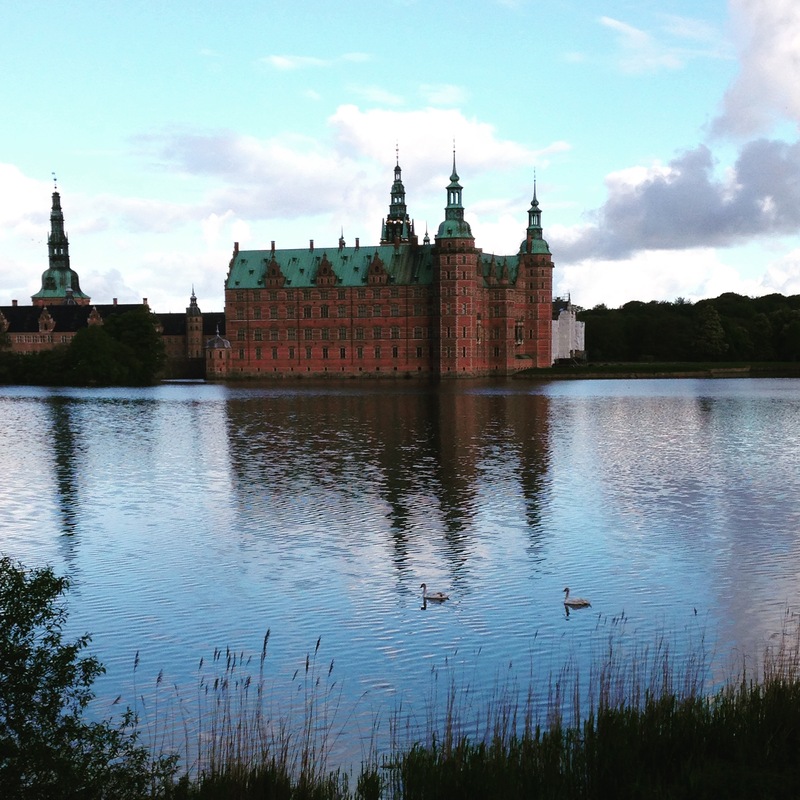 For the past four and a half months, my sister has been studying abroad in Copenhagen, Denmark. This is a normal thing to do when you are a junior in college (at least for those studying in the USA) and I myself spent a fall semester absorbing the culture in Barcelona, Spain. Well, what do you do when someone you know lives or is abroad for a long period of time? Visit them of course! (sadly Meghan wasn’t able to visit Spain because of school and cross country, but I did get to see my mom for a short time). The people, the languages, the cobblestone streets. Everything here just screams Europe to me and I love it. I took an overnight flight from good ‘ol Newark into Iceland and then another flight into Copenhagen. From there, I following Meghan’s directions on how to get into the city (note: it’s a simple process but make sure you take the subway not the train…cough cough inside family joke 😉 ) After picking up an avocado flatbread sandwich and coffee from Joe and the Juice (which I thought was a small operation and that I was acting like a local – wrong – it’s a full-blown chain that hilariously only hires what look like male models), I met up with Meghan in Nyhavn. Neither of us had international cell phones (her’s was finishing up that morning) so we decided to go old school and simply agree to meet at 3pm by the anchor. No ability to say if you are running late, look up directions on your iPhone, or call each other to verify. So strange and yet already I had the feeling of freedom from my iPhone. Sort of like the Mona Lisa portrait in the sense that it’s quite built up as an attraction and yet is so anti-climactic. Still, I had to check it off the list. I found it fascinating that they 1) are super obsessed with Nike shoes (as well as the brand in general). Nike is somewhat of a status symbol and you will see everyone walking around in different kicks. Worked in my favor since that’s all I seem to wear while walking and had just picked up a pair from DSW. A blonde in Nikes and I already fit into the culture. Something else that intrigued me was that they are big into sweets (especially candy and licorice) but are so self-regulated that it is only a weekend splurge. Stark difference to my American background and experience with indulging on the daily. 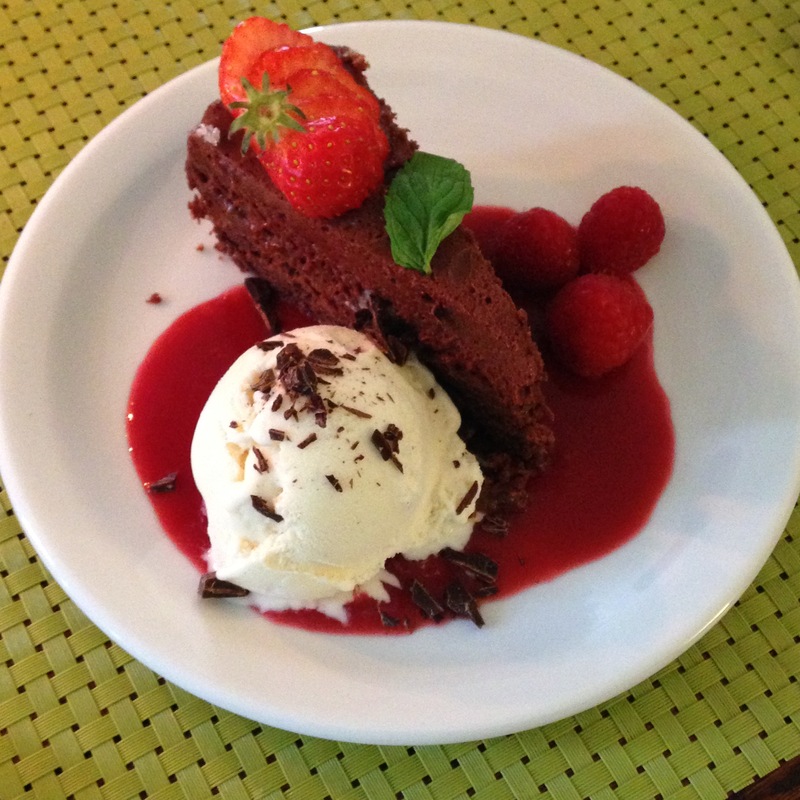 Lucky for me, my arrival coincided with a Saturday evening dinner (Frikadeller – Danish meatballs, cabbage, & potatoes) and this lovely creation (chocolate mousse cake with vanilla ice cream, raspberries, a raspberry sauce, and dark chocolate shavings). Meghan’s host dad, Tommy, is a chef and boy does he know how to present a meal. If I had been their host student I would have surely gained 20 pounds from the trip. Being jet lagged from the travel, I promptly passed out around 8pm. After sleeping for a solid 10+ hours (this.is.not.normal for me) we set off on a run through Hillrød, where Meghan’s host family was from, and had a lovely Scandinavian breakfast of homemade rolls with butter, jam, and cheese. Meghan has always known how to self-regulate her meals and she has also been exposed to the type of spread Scandinavians eat for breakfast. I on the other hand felt that my eyes bulged at every meal and subsequently left with a stuffed stomach (all in a good way). Sites seen: Rosenborg Palace, Christiansborg, through Christianshavn and Christiania, and to the trampoline sidewalks. Around 2, we met up with one of Meghan’s school friends, Ruth, at Copenhagen Street Food. This is very similar to the Williamsburg Smorgasbord but is housed inside a warehouse. They run it every day of the week and during the warmer months, open it on the weekend. After browsing from all the selections, I went with a pulled pork sandwich and Meghan selected a pork egg wrap (the wrap was literally made out of egg). After lunch, we walked back towards the center of town with Ruth, in and out of a few stores, and of course ended up in a sweets shop. Copenhagen has these chocolate delights called fløbollers, which look like little snow caps with marshmallow and marzipan, all covered in chocolate. We decided to go for the all ride wristbands, which enabled us to ride everything as many times as we pleased. Like most city passes or ride passes, it’s important to think about how much you will get out of it versus paying ad hoc fees for rides or museums. Well, we TOTALLY made the most out of our bands. I LOVE ROLLERCOASTERS! But really, it’s a problem. I also seem to do this thing where I have a huge adrenaline rush while riding them and then can’t stop laughing and screaming. Strange, but apparently I have had that problem (habit?) since I was little. Dinner at Cafe Paludan…possibly one of the best meals of the week – prosciutto salad with pesto, bacon, cheese, and a bed of greens. Though stuffed, a vacation is not complete without a scoop of ice cream (this just happened to be one of a few on my journey – but quite possibly the best). Folks – if searching for something sweet, GO TO PARADIS!! Do NOT go to one of those pop up tourist traps, find your way to a Paradis and you will thank me later. Local train ride (30-40 minutes) to Helsingør where we wandered Hamlet’s castle and along the harbor. Apparently I had been inside the castle as a baby and Meghan advised that we skip the indoor tour. I trusted her judgement and had a much more enjoyable time wandering the exterior. From there, it was back to Hillerød in order to pick up our bags before taking the train back into Copenhagen and grabbing salads from the Glass Market (at a paleo place none the less). Testing out one of Meghan’s favorite pastries from Lakagehuset during our coffee break (ok, my coffee break). We walked a bit more before grabbing our luggage, which had been stored at Meghan’s abroad program, and jumped on the metro to get to the airport. From there, we scouted out a dinner option and played bananagrams until our flight to Bergen (Norway) was ready to depart. If you are interested in a super cool hyper-lapse (or so I thought) check out my instagram here. Well, if you happened to make it all the way to the end, congrats! Stay tuned for our adventures in Norway. Also, happy national running day! 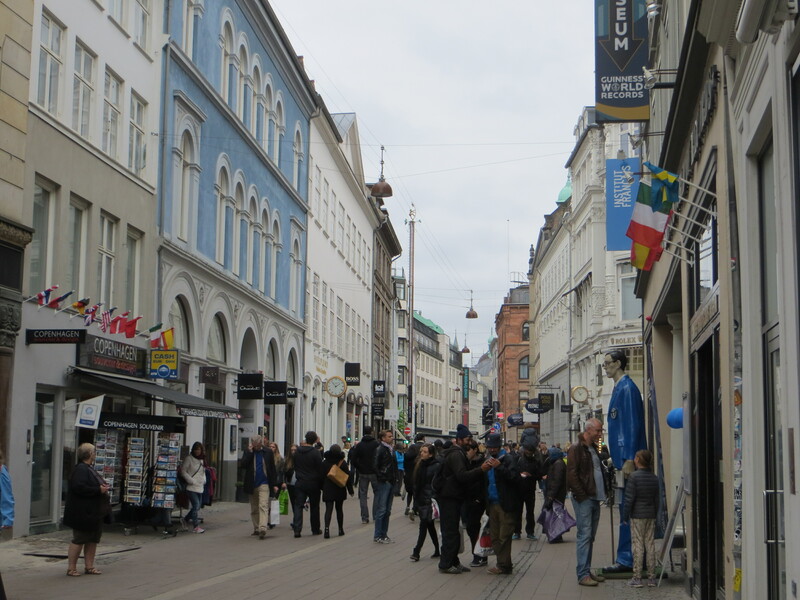 This entry was posted in Healthy Me, Spring, Vacations and tagged copenhagen, denmark, family, kobenhavn, paradis, scandinavia, spring, tourist, travel by Kaitlin. Bookmark the permalink. I love this recap. Not sure if I mentioned to you, but I studied abroad in Copenhagen and absolutely loved it over there. Conveniently, my sister also studied abroad there, so I got to go back last December to pick her up. You hit up all the best spots in the city. So glad you made it to Tivoli and got your ice cream 🙂 Can’t wait for an in person recap soon I hope! OMGGGGGGG I AM GETTING SO EXCITED READING THIS!!!! As you can probably tell by the 19 texts i just sent you in a row 😉 You hit up EVERYTHING that I loved pretty much! I lived literally a block from the glass market. Ahhh I miss that place so so so much.